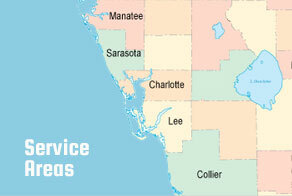 ABC Fire Equipment has been providing a full range of services and equipment to Venice, Florida for over 30 years. When it comes to fire safety equipment and services, we pride ourselves in offering an unmatched service to our clients. Whether your fire needs are large or small, our team is prepared to help. If you are located in Venice, FL and in need of assistance, please contact us. We look forward to helping with all of your fire equipment needs.